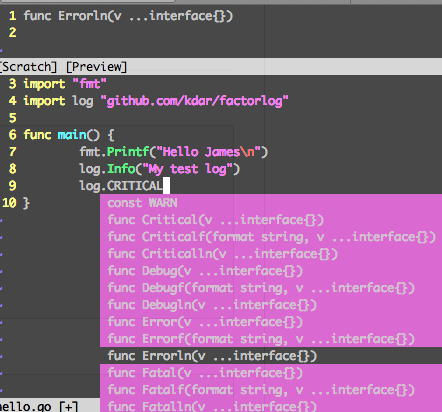 I’ve been tinkering around with Go for a while. Occasionally, I would just get distracted with something else. However, every time I come back to Go, I’m always excited to see the new tools and how much has improved since the last time. One of the biggest gripes I had with Go was the necessity to modify your GOPATH if you ever wanted to jump from one major project to another. This post will walkthrough my (re)setup of Go, useful tools, and talk about any great workflow. This cool tool, as you can imply from the name, manages the versions of Go you use. This is very helpful for when you want to make reproducible builds despite Go updating itself every ~6 months. Installing GVM Follow the steps here to install GMV for your environment: https://github.com/moovweb/gvm Using GVM Install latest go. That takes a while. Do not panic. You can see my existing go installation was labeled ‘system’. (it is version 1.2 fyi) But now, I can easily switch. Since 1.3 has come out since the last time I used it, lets go ahead and update which one I use by default. 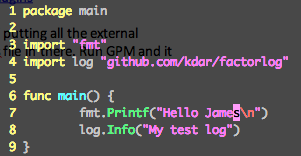 Now, whenever I open a terminal, 1.3 will be used. 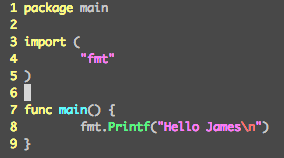 And then I set this go_fmt_autosave to 0 to make sure Fmt didn’t run every time I saved. Earlier I mentioned my gripe about having to manually set your GOPATH accordingly if you wanted to switch between projects in Go. Go Versioning Packager (GVP) solves that problem marvelously. # creates go ".godeps" folder within your workspace. This folder will contain all the source and compiled libraries / executables for your dependencies that you can download into your project. # will set your GOPATH, GOBIN, and GOROOT variables appropriately. Weird that bin folder is named “bin:” instead of “bin” Let’s see what’s going on. On github, latest is 1.0. I’m sure they had to have fixed this weird problem. Looking through the github commits, I found the culprit! There was a fix for this weird typo in the GOBIN environment variable. (GOTCHAS: It’s important that the package name is main and we have a main function so that it can produce the executable) .. We can go ahead and run “go install”. I’m choosing to run from the root of my workspace. However, that doesn’t really matter. 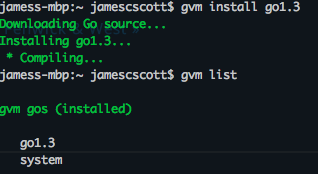 “Go install” can be ran from two locations 1) The current directory of the project “go install .” and 2) anywhere else “go install ”. That’s just another GOTCHA. Which actually means you can’t do tab auto-complete to get to the path in case you happened to be in root of your workspace. 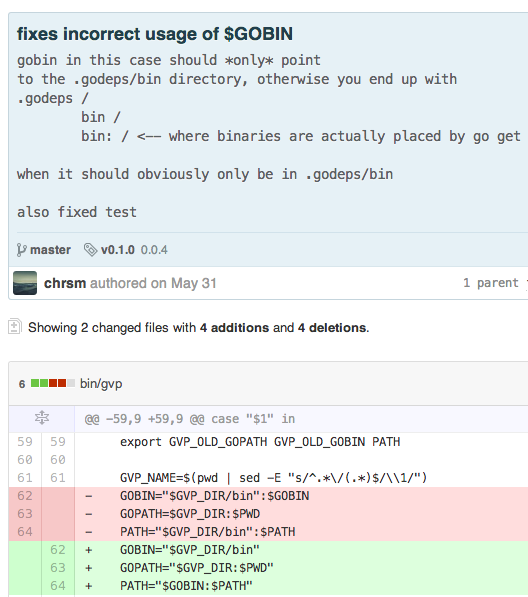 Go is smart enough that it can pick projects out of your GOPATH/src folder. “go install src/github.com/jcscottiii/hello” won’t work and will complain about being unable to find packages because $GOPATH/src/src/ does not even exist and should not. “go install github.com/jcscottiii/hello” will work though. # Retrieve the source for the library. Now, just push this Godeps file to your source control repo so your fellow collaborators can successfully replicate a working environment. Have an existing Godeps file? Just need to run “gpm install” Need to update the packages used by your project? Want a specific version and/or want to update a subset of your libraries? Edit the Godeps file to include the specific revision/tag for each library you want to update. Want to update all to the latest? Run go get -u then run gpm boostrap to create a new Godeps file. 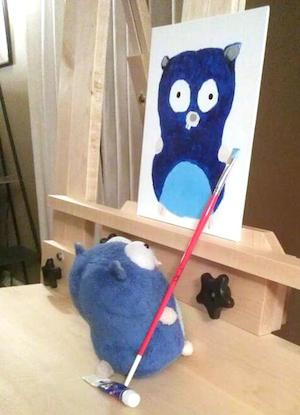 The next Go post will be exploring Google App Engine for Go. Recently, they have changed the architecture to be more forward with modules. My initial thoughts are to of course have one or many backends, each being a module, and a frontend module. Below is the sketch of how they have modularized Google App Engine.